Blaire has almost forgotten what the world looked like before the Lycans. One bite or scratch is all it takes to become one of them. Blaire was barely surviving until she met Kyle. They've been together for years and love each other very much. Lycans will kill anyone who is weak and will turn everyone who would be a strong asset to their pack. As soon as the sun goes down the Lycans will hunt for food. What will happen when Blaire and Kyle have to go back to the city? Will they find a safe place before dark? Kyle gets sick, so Blaire has no choice but to get help. The city is run by gangs who won't do anything for free. Blaire needs to find a doctor for Kyle and is even willing to sell her necklace, the last thing she has left that belonged to her mother, to get him the treatment he needs. Kyle is getting weaker by the minute. Can Blaire get him to a doctor in time? 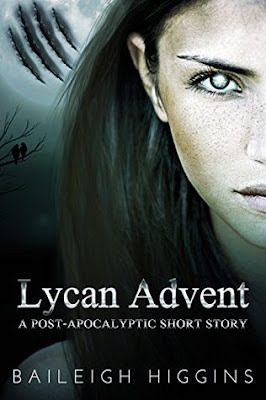 Lycan Advent is a short apocalyptic story about surviving in a world full of monsters. The survivors have to be strong, smart and knowledgeable. Blaire has been through so much already, but she's found peace again with Kyle. I was hoping for them to survive together. Baileigh Higgins doesn't need a lot of words to make a story thrilling. I love it when an author is able to make me feel scared just by reading their story. Lycan Advent is a fast-paced and chilling read, perfect to read in one sitting. Adam, or subject 306, has lost everything he ever had. He once was a man with a family until he defended himself during an attack and got one of his attackers killed. He waited a lot of years before he finally had his trial. During these years his wife and daughter already built a life without him. He got sentenced to go to jail and that's when the ISC came to claim him. 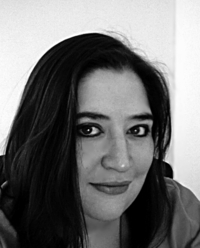 ISC has been doing experiments on people, making them hybrids. Some of the hybrids are worse than others, but subject 306 seems to respond very well to a young girl, Christine, who works at the facility. How is it that a hybrid, a killing machine, still softens when he sees the face of his Christine? Christine only knows a life of poverty, but at least she has a roof over her head and is able to drive a car. She gets minimum wage and is a nobody at ISC. If she wouldn't show up to work there will be hundreds of others who would be willing to take her place. Christine is shocked when she finds out that subject 306 can talk to her with his mind. He wants her to be with him and to become like him. Subject 306 isn't like the others. He's different and he'll be the new generation. Will Christine give in to his proposal? 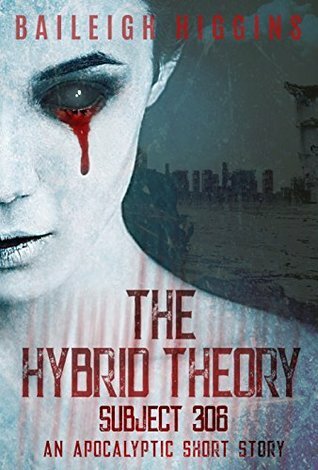 The Hybrid Theory - Subject 306 is a gripping story about experiments going wrong and finding love nonetheless. The world is filled with hybrids who need human blood to stay alive. Once someone is infected this person will turn with every memory erased. The only thing those who are turned still know, is the need to hunt and feed. A group of survivors made it out of town and I couldn't wait to find out if they would be able to stay out of the sharp razor teeth of the hybrids. One girl has been born differently and I liked that intriguing and interesting twist in the story. The Hybrid Theory - Subject 306 is one of my worst nightmares come alive. I'm a big fan of Baileigh Higgins and can't wait to read more of her books. If you're a fan of post-apocalyptic short stories Lycan Advent and The Hybrid Theory - Subject 306 are great choices. 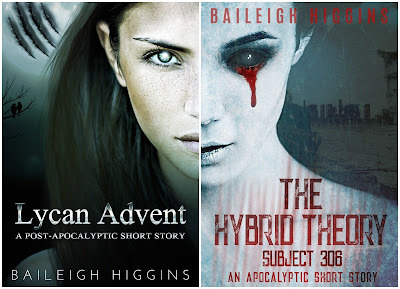 If you sign up for Baileigh Higgins's newsletter you will get Lycan Advent and The Hybrid Theory - Subject 306 for free, plus you will be notified when she has a new release, promotion or giveaway. Thanks for sharing this. I've enjoyed another of her books and hopping over the get this one now! Great reviews! Thanks for sharing this. Sounds great, I haven't read a story like this before. Thanks for the great reviews and freebies! Awesome reviews, my kind of books, thanks for sharing them. These sort of books aren't usually my cup of tea, but I fancy reading something a bit different and am going to give them a go. I'll let you know how I get on. Ooh, the cover of The Hybrid Theory is going to haunt me! That won't stop me wanting to know what happens though! Great review, it sounds really interesting! Wow.... Sounds absolutely interesting. Love this review!